The IoT services have now helped a great number of patients in bringing the access to their fingertips and delivering the best quality of care. It is being predicted that together, IoT and Healthcare, will improve the accessibility of patient records and the delivery of care. In the next few years, the tracking devices that the patients wear will start monitoring their health virtually and the results for this would be input directly into their health records, report to their Physician’s office, and if it would require an immediate intervention by the Physician, the patient would be able to get help in a timely manner. 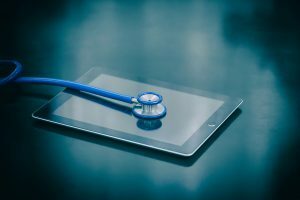 The rise of the IoT is partly due to the challenge of disintegration of health records not being carried from one health institution to another which would now be easily tackled with the help of IoT. The major concern for IoT will be the cost implementation to run this sophisticated system. One solution to this would be through the aid of the government for which it would have to implement secured systems to cut costs and keep fraud to a minimum. Devices are being manufactured at a record pace which will increase a demand on the exchange of the data. IoT will have to be recognized as the system to connect and exchange vital data for patients and doctors. With the aging population increasing ten folds in United States, it is being said that there will be more people above the age of 65 years than there would be under 5 years of age. It is going to be terribly hard for the healthcare systems to track the health of this aging population if the data integration and health tracking systems did not come together. The healthcare systems would also have to materialize around this concern for which they will start by integrating IoT using Home Testing applications, Drones for delivery of drugs, and Care Bots for the sick and elderly. This integration is key for IoT having success in the healthcare industry because patients and family can benefit from these devices. Another upcoming topic of discussion in healthcare is the IoT’s expansion in the Healthcare Industry due to the 5G Network. Healthcare and IoT will be connected on a faster and more reliable network with advanced security by 2022. The 5G network works better with more devices exchanging larger amounts of data faster which coincides well for the future of IoT with the healthcare industry. Digital data will be more prevalent in healthcare with 5G processing and recommending information about the course of action for the patients. Predictive Analysis will also need to improve because of the unpredictability of devices and networks developed in healthcare. The devices will be able to create new data which was never seen before with the 5G network. Public policy will have a huge impact on developing healthcare as an economy in itself. Proper incentives will have to be setup for IoT to develop and expand the economy in healthcare while keeping the costs low and services effective. Overall, the take home message from this article should be that now that the race is on for a company to make the next great device for health care and derive data faster, where is the race to make sure it is being run on a secure and safe track? Security will be a major concern for the whole industry because of lack of standards and practices in that realm. The new devices in healthcare are going to change the way doctors and patients interact with one another due to IoT. The exchange of data and availability will tell how much growth IoT will have in the future of healthcare.